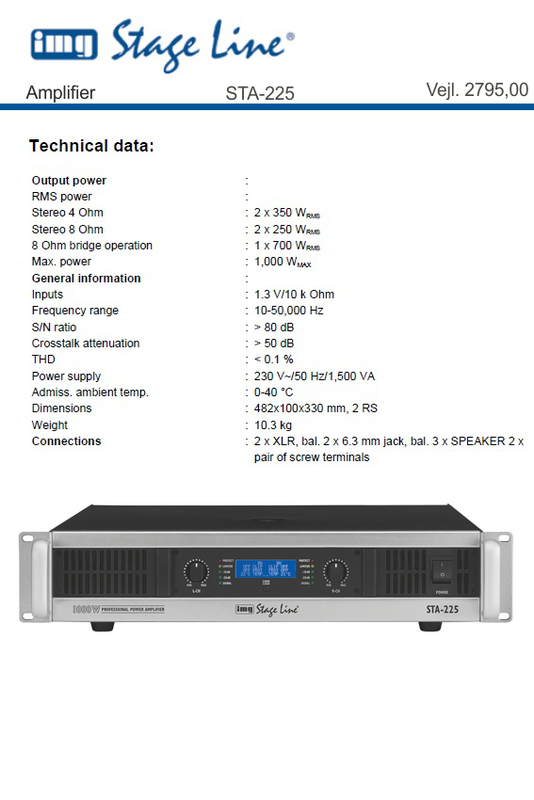 Stereo PA amplifier, with integrated limiter. 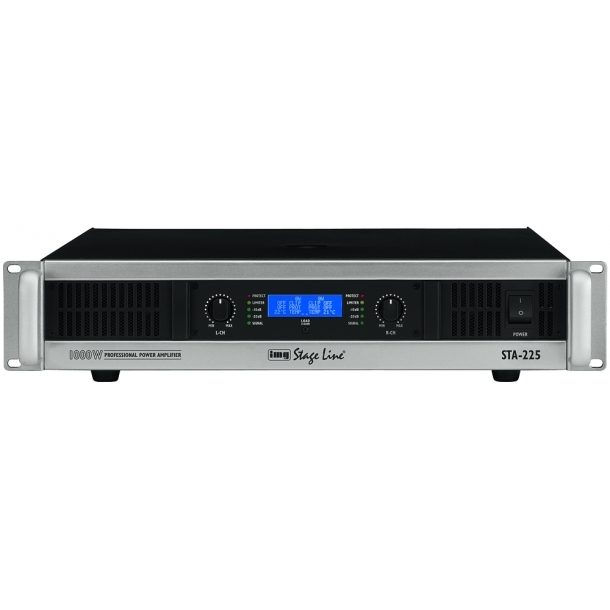 "The plastic housings are of neat workmanship ... the MMX-842USB is a good choice ... the STA-225 features all standard protective circuits, even a clip limiter can be switched on additionally. A display shows useful information on the operation. The system tested provided a really appealing sound: a nice deep bass reproduction and a clear midrange of the 12" speakers and a full and clear reproduction of the high frequencies, too. With the support of a subwoofer, the volume which can be achieved is already sufficient to show a great performance at smaller to medium-sized events. Neither the active bass speaker nor the passive top parts provide an unpleasant or even overstrained sound." 2 x 6.3 mm jack, bal.